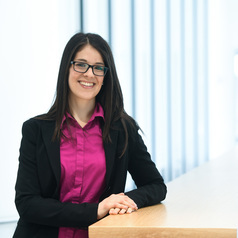 Dr. Jessie-Lee McIsaac is an Assistant Professor and Tier II Canada Research Chair in Early Childhood: Diversity and Transitions with the Faculty of Education and Department of Child and Youth Study at Mount Saint Vincent University. She was previously a Postdoctoral Fellow with the Healthy Populations Institute at Dalhousie University. She holds a PhD in Public Health and an MSc in Health Promotion, both from the University of Alberta, and a BSc in Kinesiology from Dalhousie University. The goal of her program of research is to enhance well-being during early childhood by ensuring policy and practice supports families as they transition across early learning environments. McIsaac studies early childhood and educational policy initiatives using an engaged scholarship approach to co-produce research that mobilizes knowledge and experiences for and with marginalised families. She works collaboratively with researchers, community, policy makers and research participants to inform policy and program design and decision-making.